Professor John Danesh trained in medicine at the University of Otago in New Zealand and at the Royal Melbourne Hospital in Australia. During his time as a Rhodes scholar, he received an MSc in Epidemiology at the London School of Hygiene and Tropical Medicine and a DPhil in Epidemiology at the University of Oxford. He was elected a Fellow of the Royal College of Physicians in 2007. 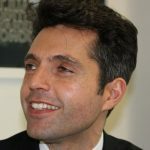 Since 2001, Danesh has been the Professor of Epidemiology and Medicine at the University of Cambridge. He holds a British Heart Foundation Professorship, a European Research Council Advanced Investigator Award, and an NIHR Senior Investigator Award.